One square per student from the Living Bingo sheet. They will have either a colour or a shape. Students are placed into groups of 4/5. 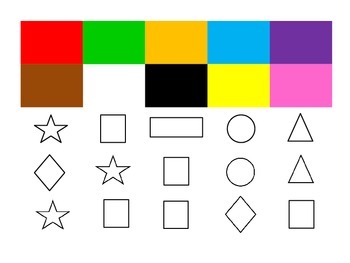 The teacher will call out a colour or shape and students who have this must sit down. The first group with all members sitting down are the winners.